Synopsis: A crooked lawyer persuades his brother-in-law to feign a serious injury. Did You Know? 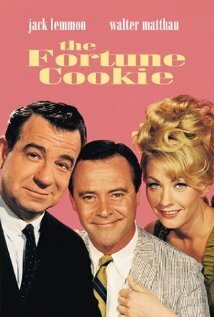 This was Jack Lemmon and Walter Matthau’s first collaboration. They worked on 11 additional films together. I just love Jack Lemmon and Walter Matthau; they were superlative in comedic timing and had such inimitable chemistry. So I was quite disappointed with this film. The best way I can describe it is that it’s a subdued farce. In particular, I didn’t care for Lurene Tuttle’s portrayal of Harry Hinkle’s whimsically hysterical mother; it was hyperbolic to the point annoyance.